TransPerfect Connect is a leading provider of global call center services, business process outsourcing (BPO), and remote interpreting solutions including over-the-phone interpretation (OPI), video remote interpretation, as well as multilingual email and chat support. With services in over 170 languages and industry-specialized interpreters screened for subject expertise, TransPerfect Connect enables businesses to bridge communication gaps in seconds. 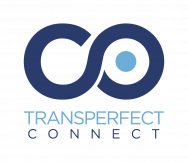 TransPerfect Connect is a division of TransPerfect, the world's leading provider of language and technology solutions for global business. Founded in 1992, TransPerfect has over 5,000 employees and maintains offices in more than 90 cities worldwide.